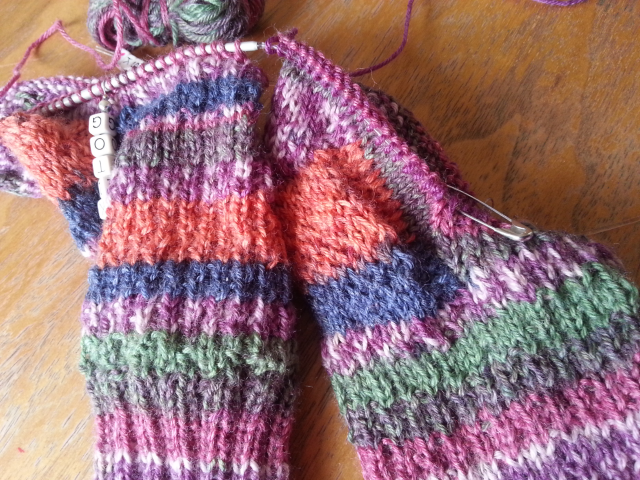 My latest socks are coming along slowly but steadily! 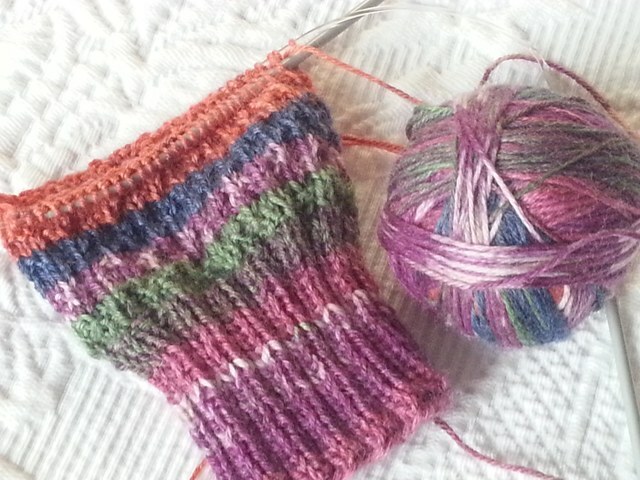 After knitting the first sock as far as the heel turn, I decided I should try something new by knitting two at a time. 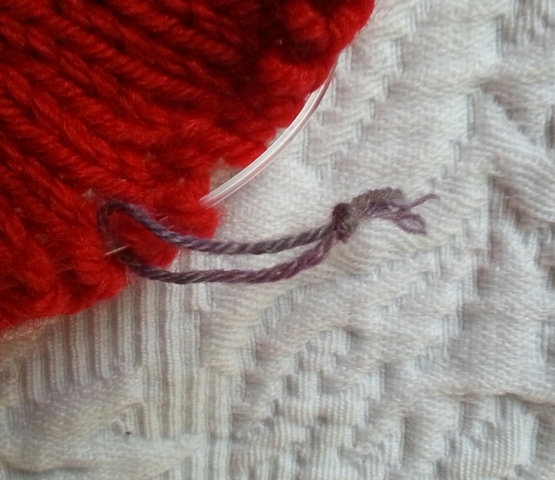 So I left it on stitch holders. 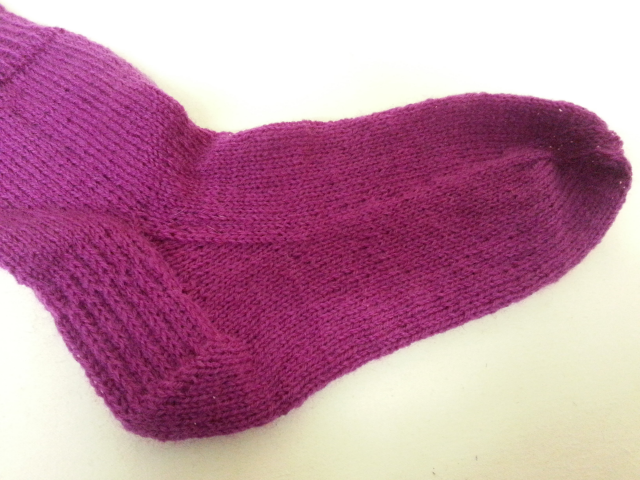 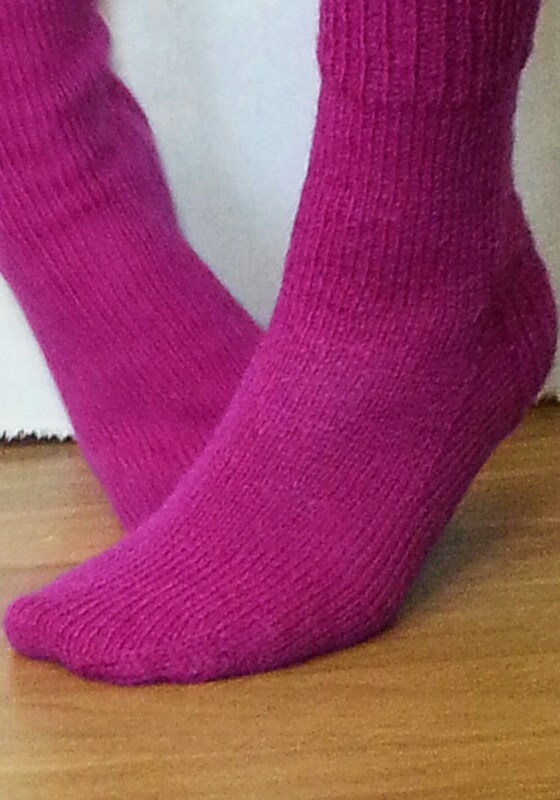 I then cast on and knitted the second sock to the same place. 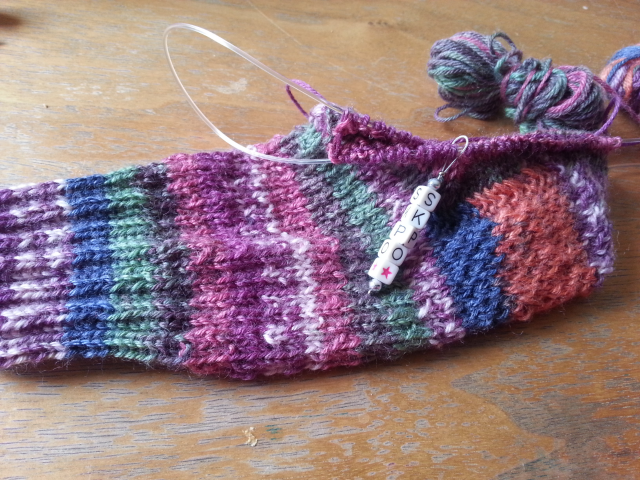 The next part took a bit of brain twisting as I knit one side of the first sock then both sides of the next sock ,then back to the other side if the first sock. 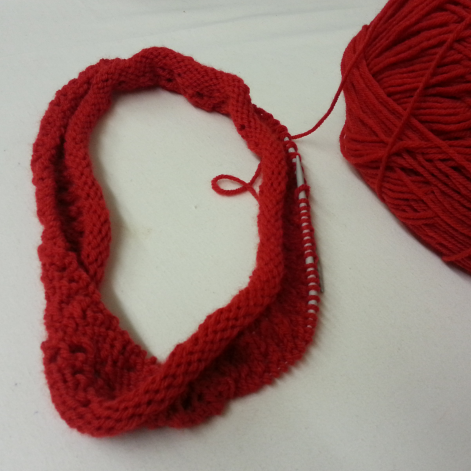 This got them lined up to use magic loop two at a time for the gusset shaping . 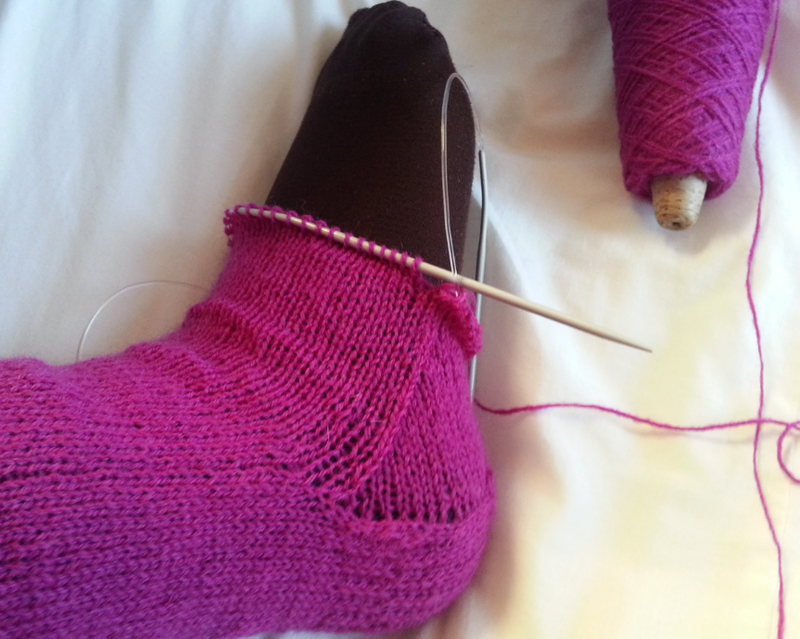 And thats where I am with them right now. 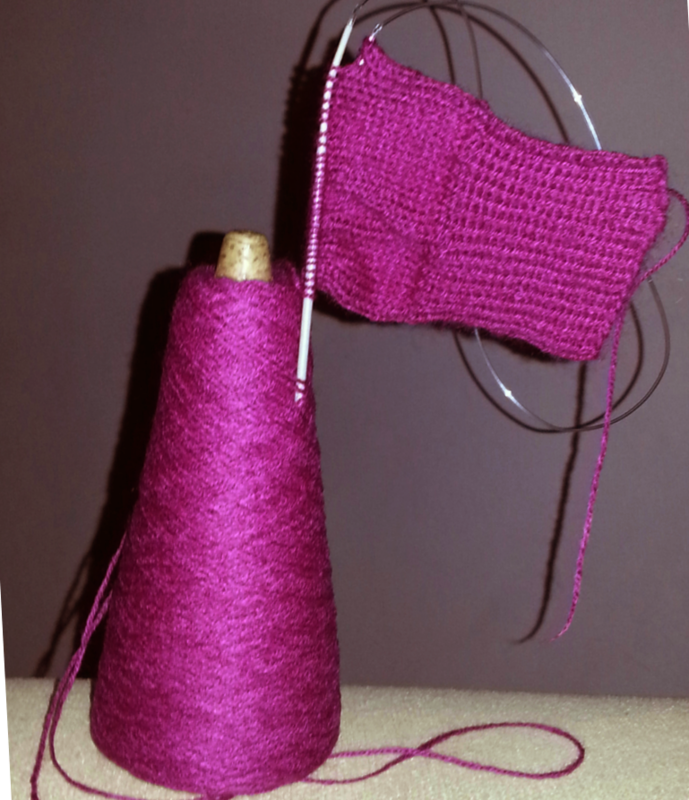 I did have trouble remembering which sock was first so I swapped one of my stitch holders for a safety pin, and it seems to have done the trick.